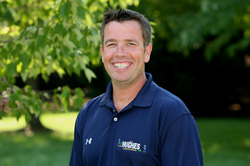 Dave has been with Hughes Landscaping for over twenty-one years, Vice President since 2006. Working with many of the Washington areas’ top landscape architects over those years, Dave has developed extensive experience executing significant design projects. Dave sees beyond the project, though, maintaining customers’ projects and properties over the long haul. Tim joined Hughes Landscaping in 2000 after decades in the construction field. He brings expert oversight to water management (drainage, regrading) issues, and a professional's eye for projects ranging from retaining walls to patios, gazebos to decks. 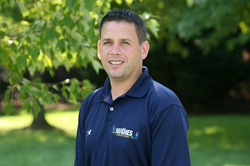 Dave joined Hughes Landscaping in 2010, bringing more than twenty years of experience to Hughes Landscaping. Dave is a lawn care expert and a licensed applicator. Jerry joined Hughes Landscaping in 2001, bringing two decades of experience, most recently as owner of his own landscaping firm. 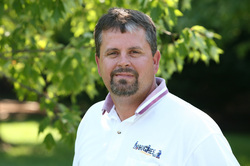 Working closely with equipment manufacturers, Jerry specializes in sprinkler system installation and maintenance. 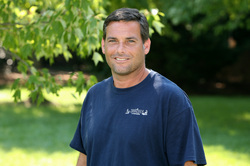 Jimmy Hopkins is a Bethesda native who has years of formal education and field experience in the landscape industry. Jimmy has a keen interest in high quality workmanship, client service, and he continues to enhance his knowledge of Landscape. Jimmy discovered his passion for arboriculture and landscape in the nursery industry growing trees locally in Frederick, Maryland. He is a NALP Certified Landscape Technician in Construction/Installation and enjoys resolving landscape related issues. He is also Maryland Erosion & Sediment Control certified and a ISA Certified Arborist. You can expect a friendly greeting from Jimmy when you see him on your job site!